Grab your umbrella if you're heading to the polls early Tuesday evening. 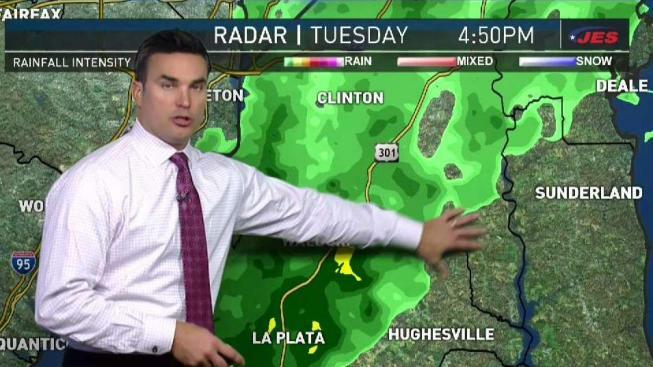 A line of strong to severe storms moved through the D.C. metro area Tuesday morning, and the rain is expected to last through the afternoon. If you haven't already voted, Storm Team4 Chief Meteorologist Doug Kammerer suggests casting your vote after 5 p.m. to avoid the storms. Temperatures are in the upper 50s to around 60 degrees. The rain should be over by 5 p.m. in the metro area. Research shows that the weather can affect voter turnout and even how people vote. 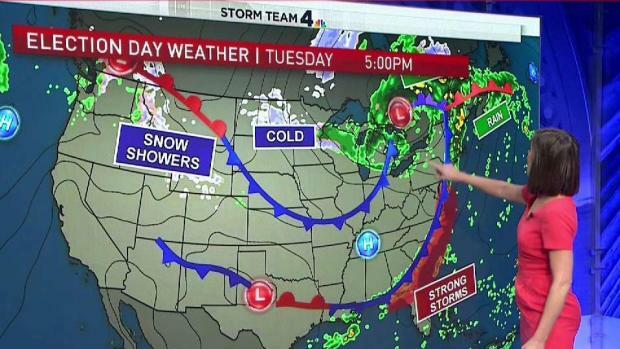 Storm Team4's Amelia Draper explains. Reagan National Airport saw a record amount of rain Monday, and it could see another half inch of rain on Election Day. The skies will clear out tonight, leaving us with two nice dry days before more rain arrives Friday. Rain is likely all day Friday, with temperatures around 50 degrees.